On a recent trip to the mall, I ended up seeing this new cosmetic store called Kiko Cosmetics. The bright store and beautiful display on makeup instantly caught my eye, so I knew I had to check the store out. 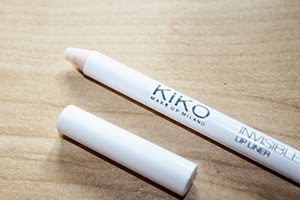 The sales woman told me that Kiko Cosmetics is a European brand of cosmetics that just opened up 2 stores in the US. I can't remember where the first store opened, but this store is the second store that opened in Woodbridge New Jersey and Woodbridge Mall. I wanted to show you all some of the things a picked up with a review of each of the products. I hope you enjoy! 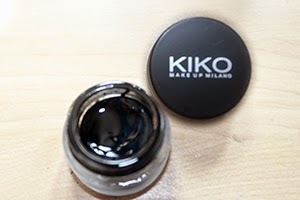 Here's a list of the following products I got at Kiko Cosmetics. This gel liner wasn't what I expected when I opened it up. I thought the consistency would be more like my E.L.F. gel liner. The gel is more of a creamier texture to it and it's also more of a liquid opposed to a harder texture of the E.L.F. gel liner. It was a little different and hard to work with at first, but it really is long lasting! From the time I put it on at 8:00 AM until I took it off around 7:00 PM, the liner was still on and looking pretty well. 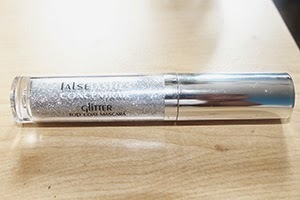 I've been using the liner every time I do makeup since I got, so I'm sold on a great product! The only thing that I would say, is it's a little tough to get the product off of a brush, so you have to make sure you clean the brush well. I was also looking into buying a more defined eyeliner brush and when I found Kiko had brushes, I knew it was what I had to buy. The number of this brush is 209 and it was what I was looking for. 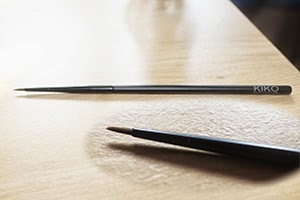 I never used a brush like this before, I tend to always use angled brush, so it was pretty difficult for me to use. One eye I could get to be nice and thin, but I would always mess up the left eye and came out with liner thicker than I wanted. It still a good brush, the only thing I would have to say is that I did get a strand or two that was coming out. Okay, so you know when you get to the register and the sales person tries to get you to purchase something at the counter for a cheap price? Yea. That's what happened to me with the glitter mascara top coat. This isn't a product you wear without putting on mascara first. It's a top coat meaning you put it after you apply your regular mascara and it glides on top of it perfectly. The sales woman got me when she said it would make my eyes shine like diamonds. Now who doesn't want eyes to shine like diamonds? I know I do! Lets just say with this top coat, a little goes a long way. You can go from having eyes like diamonds, to eyes like disco balls if you're not careful. It's fun and something I would use to spice up a few looks every now and then. Perfect for special occasions, maybe even Halloween. Also, it stays on just as long as your regular mascara, even a little bit longer! I also really wanted to try a nice orange lipstick, matte of course because I just love matte. Yet again though, I find out that bright matte lipstick just isn't for me. It was super soft and creamy, it really felt good on the lips, however with my lips (I guess lip color? ), it just wasn't taking the color fully. I ended up having to put a lot of lipstick on to get the color more opaque, but at the same time you could tell that it was just too much lipstick. I love the creaminess of the lipstick, so I definitely have to go back for more colors, but this just wasn't for me sadly. Maybe I could make it work with different lip liners and such. An invisible lip liner is exactly want I wanted to try as well too. I have a ton of different shades of red and purple lipstick, but only two lip liners, so it's hard to match up sometimes and I thought this would be perfect. It is a pretty good lip liner, it really does stop your lipstick from bleeding. The thing I didn't like about it though was that the color around the edge of my lips, where the liner is, was darker than the lip color and it gave my lips this weird, kinda defined look. It was a bit odd, so I tried using the liner on my lips fully and just not an outline. It did it again and I think that's just the product stopping the color from bleeding, and that's an effect it has. It can probably be cleared away with some lip gloss on top to make the lips pop more. I also found that using the liner when I use matte lipstick, makes my lips dry out more as opposed to just putting on the lipstick. I don't know if it's because of the formula of the matte lipstick, but I have to experiment some more with the liner. I never used nail stickers? before, so this was pretty new to me. It was on sale and I picked it up just to try it out. Being that I never used this before, it was difficult for me to put on because I didn't really know how to do it. I didn't have a nail file at the time to smooth the edges out right, so i ended up folding it over my nail until it ripped off. That wasn't good because the tips of my nails started to peel just a little bit. Nonetheless, I left it on to see how long it would really last. To my surprise, it lasted me about 2 week with very minimal of it chipping off which was a good thing. Now if I put it on more carefully and took my time, I would have had better results! 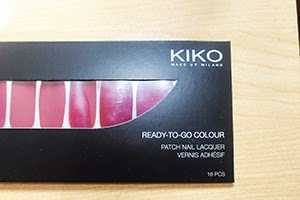 This is everything I got from Kiko Cosmetics (so far) and I can't wait to try out more products and review them. To find out if there's going to be a store opening up near you, check out their website! 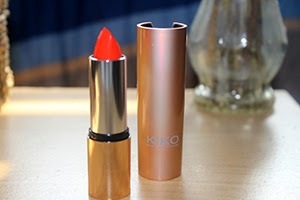 Kiko Cosmetics. From one beauty lover to another, see you soon!